The Data Center Profiler (DC Pro) and the PUE Estimator are “early stage” scoping tools designed for data center owners and operators to diagnose how energy use is distributed in their data center and determine ways to save energy and money. 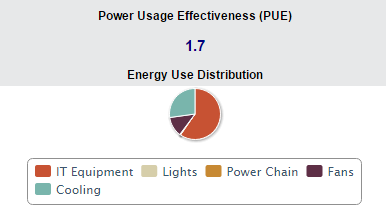 Both DC Pro and the PUE Estimator estimate Power Usage Effectiveness (PUE), the industry standard for understanding and improving the energy efficiency of data center infrastructure systems. Results from the tools can be exported as stand-alone reports or included in other reporting material. DC Pro also recommends specific tasks to help users start an improvement process. Detailed assessments of sub-systems are beyond the scope of these profiling tools, but dedicated assessment tools (e.g., Air Management and IT Electrical Power Chain) are available in the Tools section of this website. To access the archived DC Pro V3, click here. Please note that data entered into V3 has already been migrated into the current version of DC Pro.